The AGV Veloce is our premium sports model full face motorcycle helmet. We’ve manufactured this to deliver the best of both worlds, packing this helmet full of high-performance features found in racing helmets, in a street-friendly package. The shell is constructed from a mix of carbon, fibreglass and aramid and the Veloce S features our track-developed ventilation system, so you can enjoy superior airflow without sacrificing a quiet ride. The interior is designed to give a stable and pressure-free fit andtThe anti-scratch visor incorporates Pinlock® anti-fog technology and is designed to maximize the rider’s field of vision. 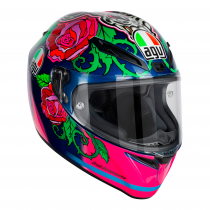 AGV VELOCE S E2205 motorcycle helmet. 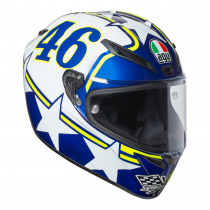 Thanks to this premium sport model from AGV, high-performance features typically found in a racing helmet are now available in a street-friendly package and a fantasic Ranch design celebrating Valentino Rossi and his well renowned training ranch. 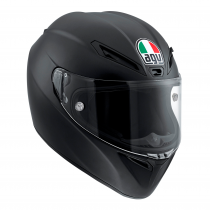 AGV VELOCE S E2205 motorcycle helmet. Thanks to this premium sport model from AGV, high-performance features typically found in a racing helmet are now available in a street-friendly package. Thanks to this premium sport model from AGV, high-performance features typically found in a racing helmet are now available in a street-friendly package. 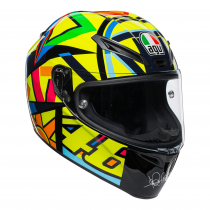 The AGV Veloce S is now for sale across the UK. Find your nearest AGV Dealer!